An outbreak caused by a foodborne illness can cost your operation about $75,000, with legal fees being the biggest expense. 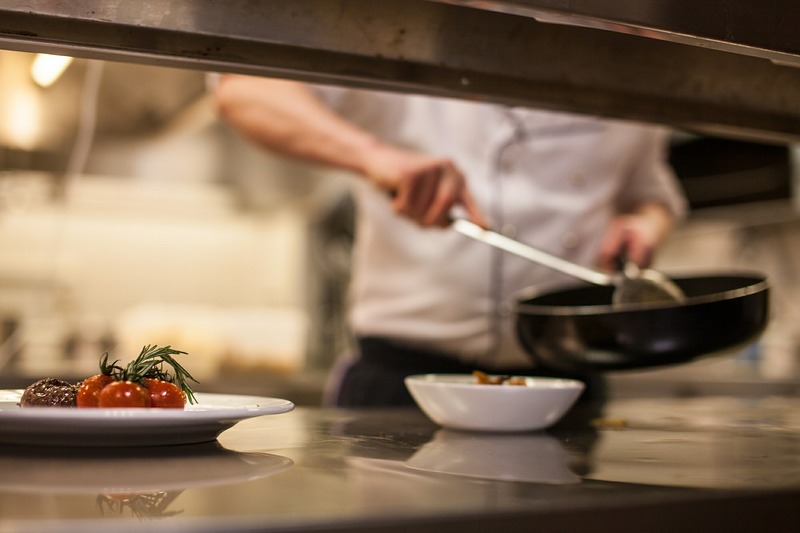 By serving foods safely, you can avoid loss of business, loss of food, bad publicity, lost wages, etc. Having your Food Protection Manager Certification can help to establish a better “food safety culture” that can prevent these situations. NC Safe Plates is a food safety certification course developed by NC State University. Certification is based on passing an ANSI- approved exam from the National Registry of Food Safety Professionals. Passing this exam satisfies the North Carolina requirement for a Certified Food Protection Manager and it is valid for 5 years anywhere in the United States. *Exam-only options are available on the dates above. Space is limited and priority is given to those taking the course. Cost exam only: $45. **Payment must be received by 5 p.m. the date registration closes in order to participate in the class and/or take the exam. 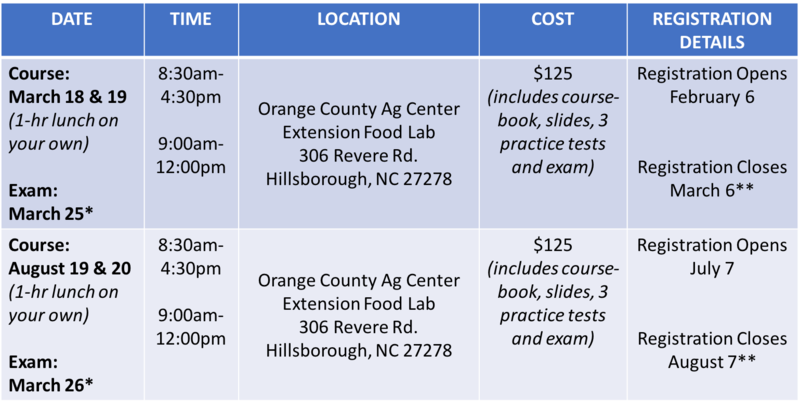 Make Checks/Money Orders payable to OC Cooperative Extension. 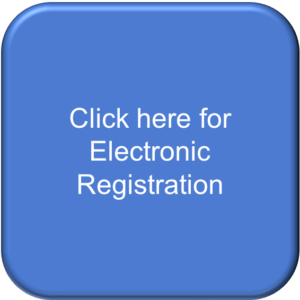 Register online and send payment by due date. 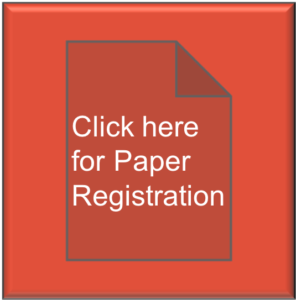 If you prefer printing your registration (mail or bring with your payment), select Paper Registration. Not able to participate these dates?